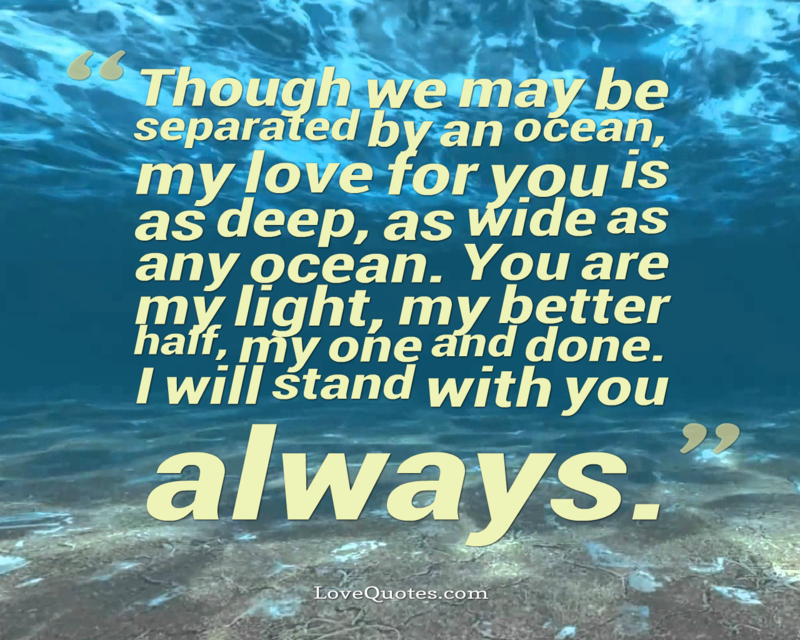 Though we may be separated by an ocean, my love for you is as deep, as wide as any ocean. You are my light, my better half, my one and done. I will stand with you always.